Nationally Recognized Appellate Law Appeals. 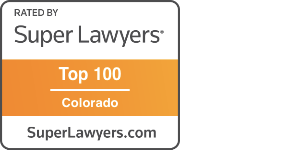 Sean Connelly has been recognized as one of the best appellate lawyers in Colorado. Sean Connelly has an established a record of taking on and winning complex appeals in civil and criminal cases. One of the top appellate law firms in Colorado with decades of excellence in appellate law. With over 150 appeals argued, Connelly Law is a top choice for Denver Appeals.